Rampur: Actress-turned-politician Jaya Prada has strongly reacted to Samajwadi Party (SP) leader Azam Khan’s allegedly objectionable remarks against her during an election rally in Rampur on Sunday, where he was also joined by party chief Akhilesh Yadav. The alleged remark has sparked a huge controversy. “I am not able to tolerate the language he has used against me,” Jaya Prada told Zee News and urged the people to fight against him by not giving any votes in Khan’s favour in the general election. “If you consider me your sister, I am urging you to fight against Azam Khan. When you vote on April 23, ensure he doesn’t get any vote,” Jaya Prada, who is BJP candidate from Rampur, said. She also slammed Akhilesh Yadav for derogatory remarks. 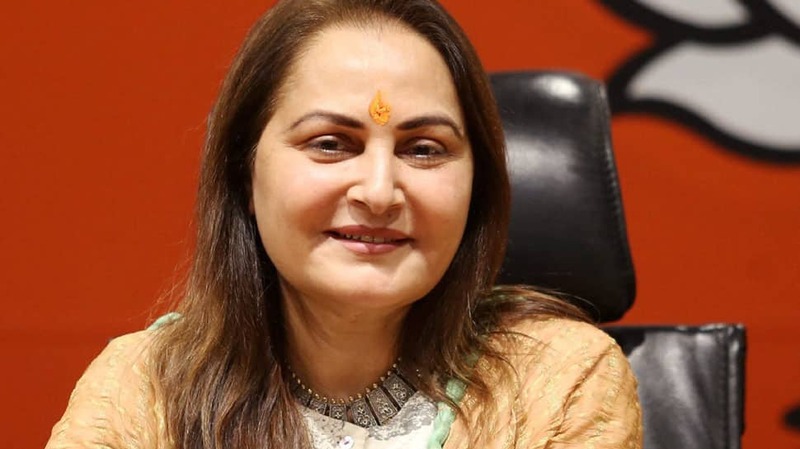 Jaya Prada recently joined BJP. She is a former SP MP but was expelled from the party in 2010. Azam Khan has categorically denied making any derogatory remarks against Jaya Prada and also issued a clarification saying, “I have said that people took time to know real face in reference to a man once said that he brought 150 rifles with him and if he sees Azam, he would have shot him dead. My leaders also did a mistake. Now, it has been revealed that he has an RSS pant on his body,” he told ANI. Khan also claimed that he was misinterpreted by the media. Meanwhile, National Commission for Women (NCW) Chairperson Rekha Sharma on Sunday said that the panel will be sending a show cause notice to Khan for his alleged remarks. Voting in Uttar Pradesh will be held in all seven phases. The counting of votes will take place on May 23.